Anatomical Model Of Thyroid Gland, Stethoscope And Blood Test Results Are On Doctor Table. 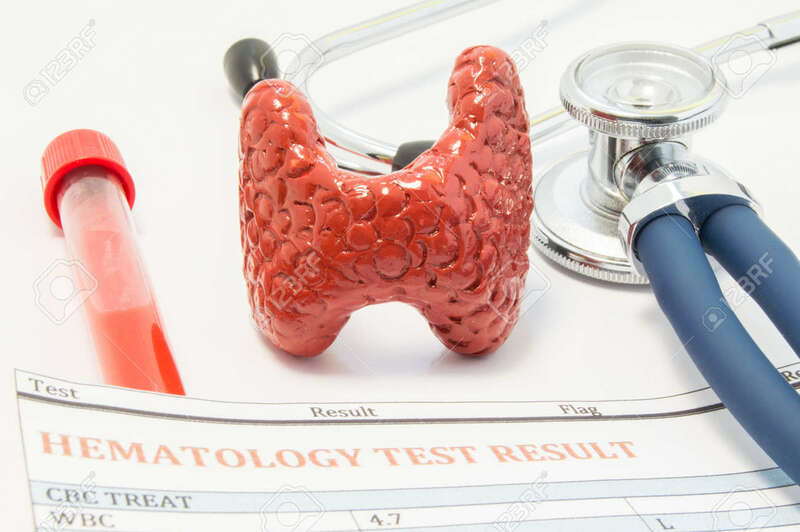 Concept For The Diagnosis Or Testing Of Thyroid Diseases Through Thyroid Blood Tests And Treatment Disorders Royalty Free Stok Fotoğraf, Resimler, Görseller Ve Stok Fotoğrafçılık. Image 73231683.